View larger images by clicking on each image above. 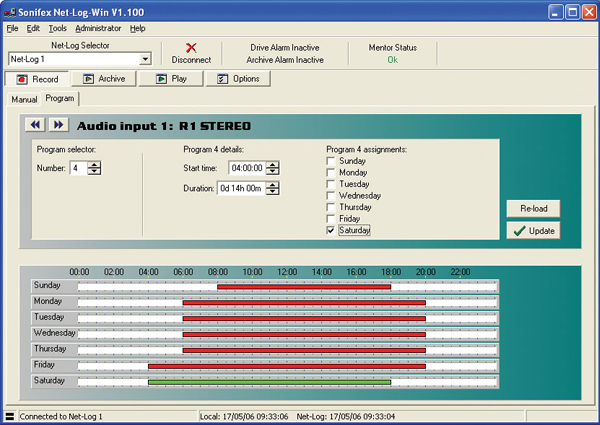 Net-Log-Win software for MS-Windows™ 7/8 and 10 is used to listen to audio recorded at a previous time and date, or for copying audio to a file, e.g. to email to a client or colleague. When downloading audio from Net-Log you can now download in .mp3 and linear formats, as well as the native .mp2.Audio data is converted on-the-fly as you download. 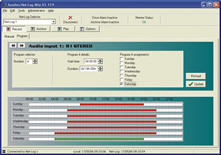 The Net-Log is initially configured and controlled by Net-Log-Win software which is a suite of three applications which run under MS-Windows™ 7/8 and 10. 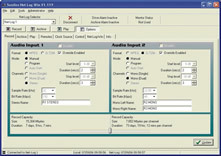 The software is sold either as a two stream, or a five stream licence. 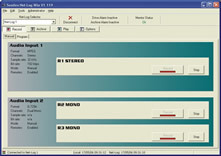 This means that each Net-Log on a network can simultaneously support either 2, or 5 simultaneous connections to it for playback or archiving. Note that you don’t need to buy a licence for each Net-Log if they are on the same network - if you have a number of Net-Logs on a single network, you only need to purchase a single set of licences, e.g. if you have 3 Net-Logs and buy a single Net-Log-Win05 5 stream licence, up to 5 different people can stream from each of the 3 Net-Logs, i.e. 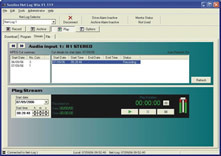 15 separate streams, provided that your network infrastructure can allow for this. Additionally, this is a buy once licence - we don’t ask you to re-buy it each year ! 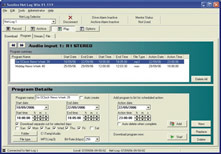 Net-Log licensing operates by you providing us with a licence code which appears in a licence window within Net-Log-Win. Once we’ve verified the authenticity of your order, we send you an authentication code which you enter into the licence window to licence your Net-Log. If you don’t have a licence code, the Net-Log will continue recording but access to the recordings will be denied after 3 days.